What happens when the President (Barack Obama) uses your startup for a conference call? 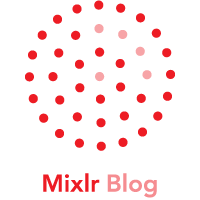 Mixlr is a London-based startup founded in 2010 to make broadcasting live audio easy and social. We now have more than 1.7 million users worldwide including professional musicians, sports clubs and hundreds of thousands of professionals-in-the-making. So in other words, we’re the ideal platform for the President of the United States to use for a live audio broadcast with 40,000 of his closest “friends”. Haha. Except that on Monday night that happened. And now that the roller coaster is finally slowing down, this is a reflection of how it went. Buried amongst our 1.7 million other users, rather inconspicuously and in a pretty low maintenance way, Organizing for Action (OFA for short and formerly known as Obama for America) has been a paying Mixlr subscriber for the last 4 months and broadcast more than 20 times. OFA signed up to our premium plan which means they pay $9.99 per month for their Mixlr account. Cool. On Friday, one of their representatives dropped us an email and said they wanted to use their account to host an event on Monday (ie, 3 days later) with the President. Very cool. Then they blasted one of their famous email campaigns promoting this as a “conference call” and tweeted it out to their 40 million followers. Um, still pretty crazy cool, but getting a little surreal. Unfortunately the call was marketed and promoted as a “conference call” and questions were invited in advance which gave people the impression that this would be truly interactive – which does happen to be what Mixlr is intended for – and effectively like an AMA. However, in the end they didn’t really use it that way nor to the extent of what Mixlr allows and it was just a one-way broadcast. This led to some pretty mis-set expectations and disappointed users which wasn’t a great tone to recover from – and then we had the inevitable one server glitch that caused some connection errors, but which got automatically switched over and resolved within 2 minutes. We’re pretty proud of how well the broadcast went. We had over 140,000 listener sessions (undoubtedly our biggest broadcast to date) and the call was flawless for the vast majority of those listeners for more than 99% of the call. We think we can do even better next time – Note to self: Even 10 trolls are a lot louder than 30,000 supporters so next time disable comments when the President’s got the mic! – and we’re definitely looking forward to it. Meanwhile, even though we’re not US voters, our hats are off to the President and his team for being agile, using third party web services and trying to be as engaged as possible with his constituents. We love that he’s done an AMA on Reddit, that his team uses Twitter, Facebook and Instagram regularly, and we’re seriously proud they now use Mixlr too. Post by Greg. Massive thanks to Eileen Burbidge for reading a draft of this post. Great job guys. Politics and the media in the US has been a bit crazy lately and extremely critical of technology and much of it is politically charged without any real merit behind it. Nicely written, good tone and flow. Paragraphs 8 and 9 were hard to write, I bet.